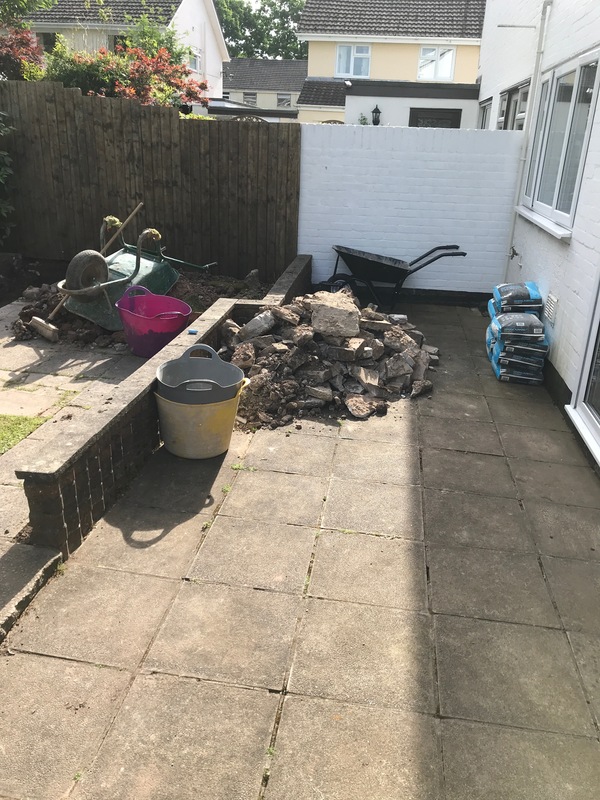 Remove all the small walls to give one large usable patio. 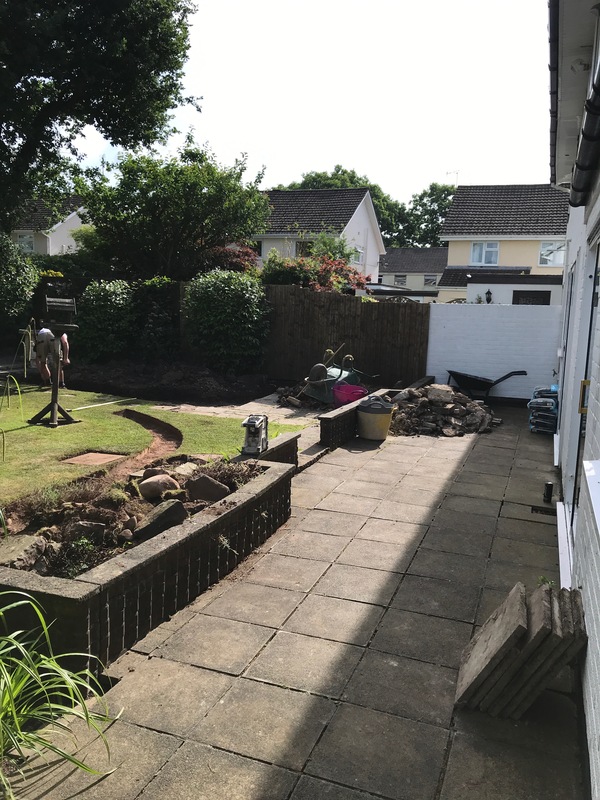 Preparation started by removing old slabs and walls, and then level the site. 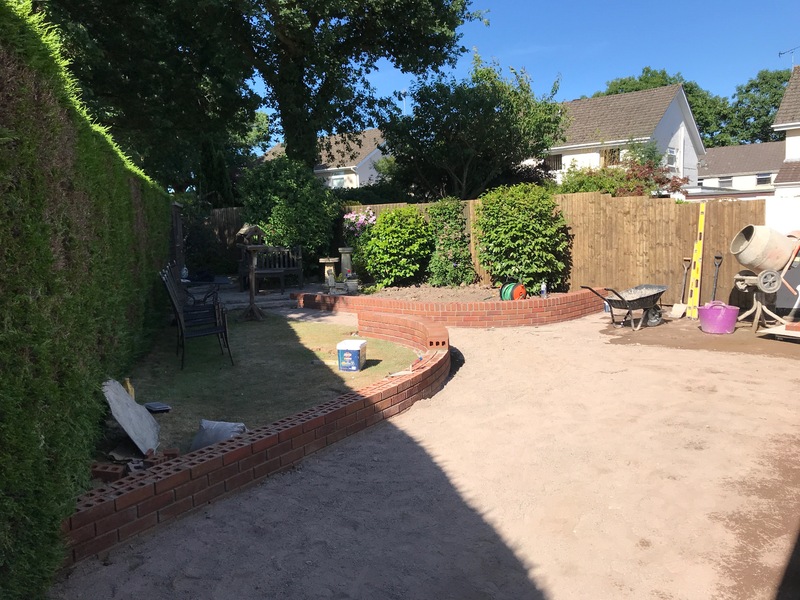 Using an old hose pipe we gained the shape of the walls and angle of earth sue wanted. 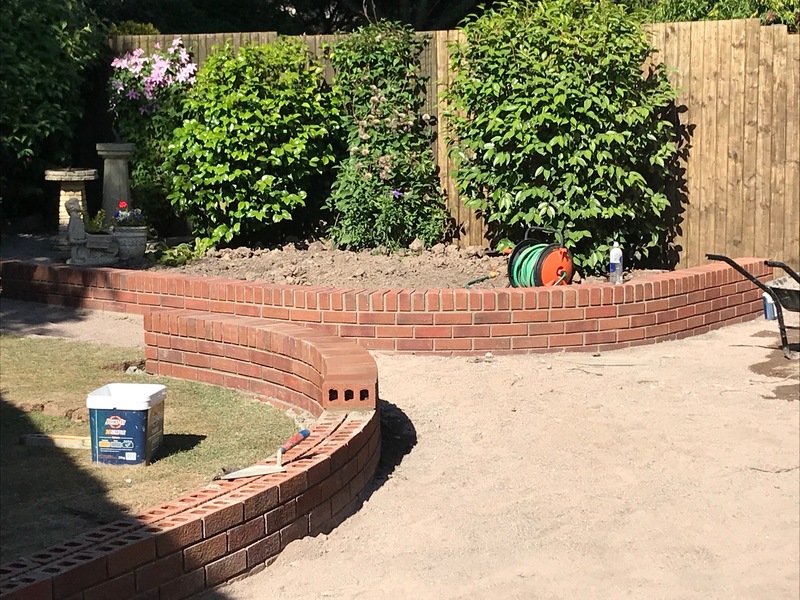 The circular walls were then built from a brick of there choice. 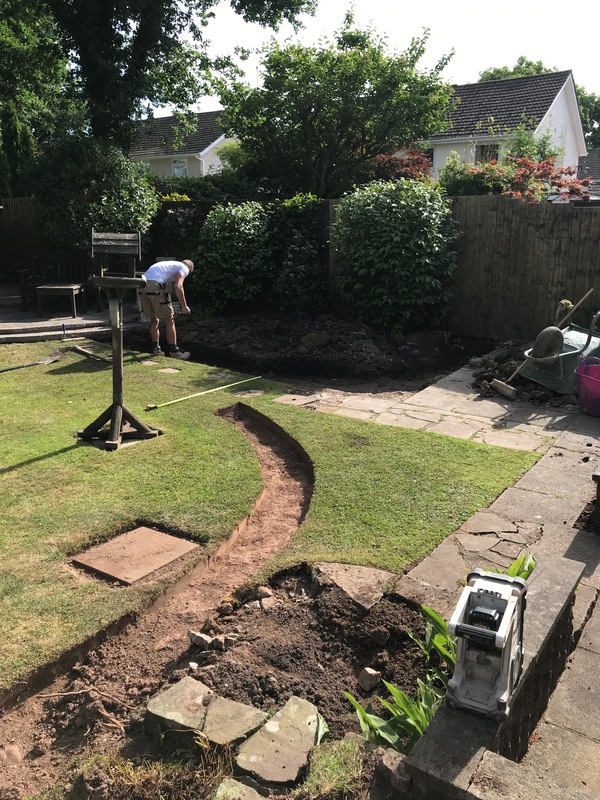 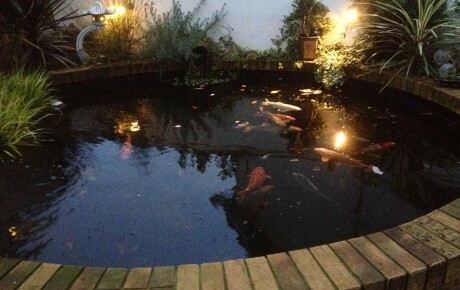 A drain was laid across the house to cope with the surface water. 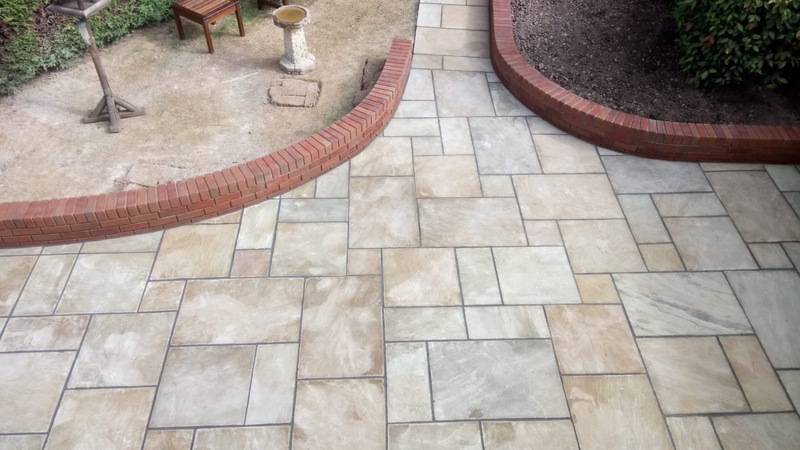 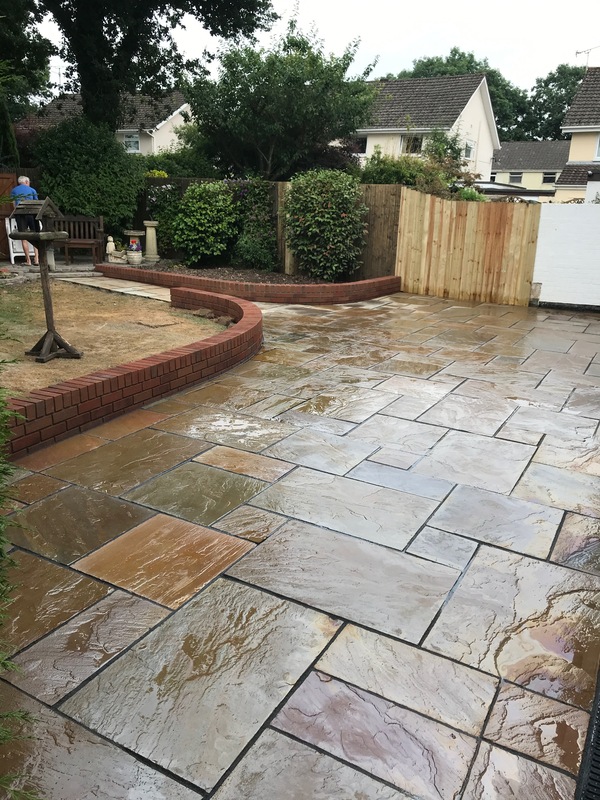 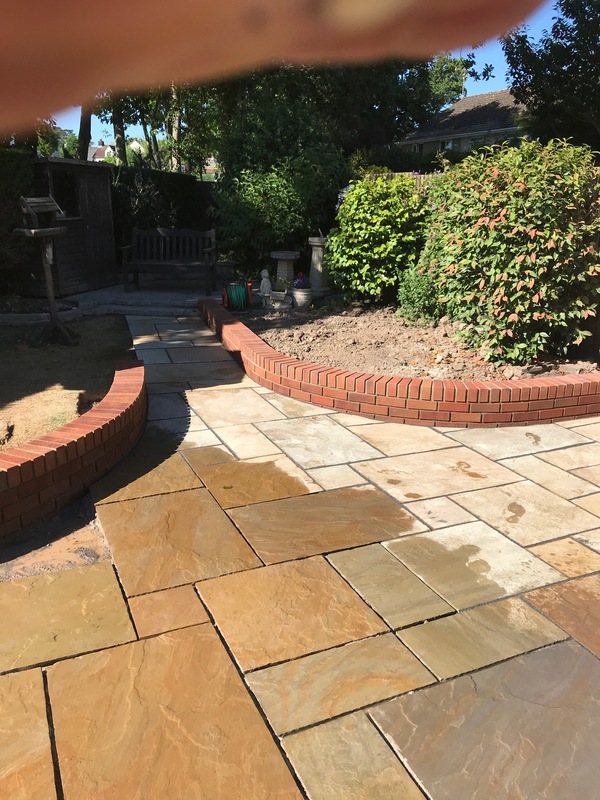 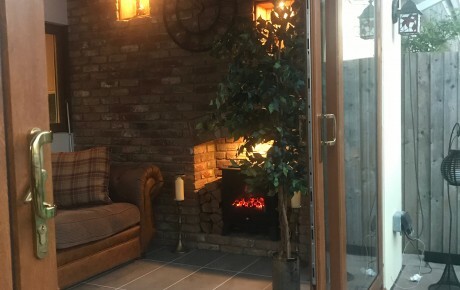 The Patio was then laid using Indian Sandstone. 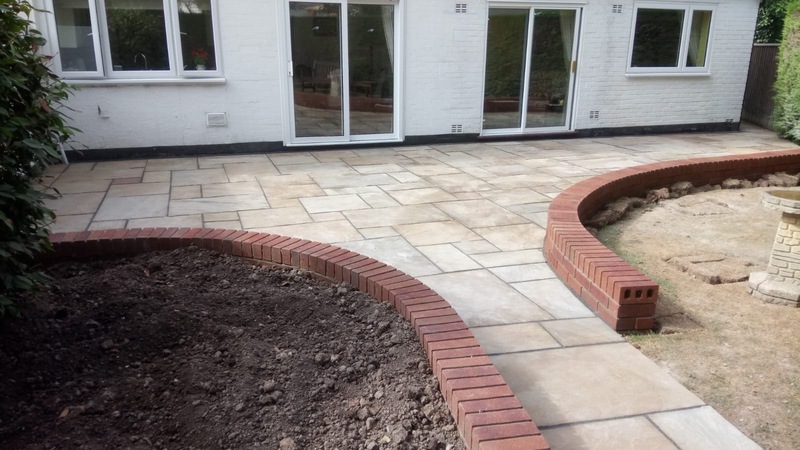 A silicone based grout was used again to help with drainage.